If you are reading this article you are also searching for information on the transportation of animals to Bahrein. 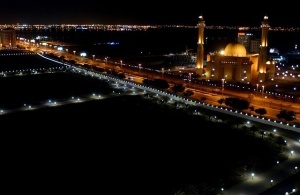 Bahrein is a State situated in an archipelago made up of more than 30 islands off the western coast of the Persian Gulf. is it really possible for my furry friend to travel to Bahrein? The answer is undoubted yes! All you have to do is contact the right partner who will be able to assist you throughout the entire journey, such as Bliss Pet Services. From what you have read ‘till now, you must have certainly understood that it is possible for your pet to travel towards the said destination. However, the shipment of animals to Bahrein cannot be compared to journeys that are “simpler” such as those to the USA or to Canada. Indeed, some specific veterinarian certificates and documents are required, which can be obtained only with the help of the right ally. The mistake that many families make when they plan a journey for their furry friends is to rely on shippers, generic movers or couriers, who, although they are able to assist the pet with regard to the transportation phase, they most certainly would not be of any assistance during the phase involving the paperwork and the veterinarian certification for the pet’s journey. Unlike them, Bliss Pets Services can fully assist the pet to be transferred with regard to the journey, the documents as well as the veterinarian procedures. Pet Transportation to Bahrein – How does the air journey work? We wish to immediately set you at ease on an important thing, the journey of your pet by air is very safe! The proof of what we have stated lies in a statistical study carried out by the famous airline company Air Cargo World, confirming the absolute safety of this type of journey. If, moreover, we add the many testimonials (which you can find on our web site and our Facebook page) concerning the air journeys of pets, you will then be certain that shipping a dog (cat or other Pet) to Bahrein will absolutely not be a problem. Your pet will travel in a dedicated, air-conditioned, ventilated and pressurized hold which replicates 100% the travel conditions of the passengers in the cabin. Exclusive dedicated services for you and your furry friend, such as the Bliss World Gateway™, namely a control panel where you will be able to find ALL the information regarding your pet’s journey, as status of the journey, a tutorial for the compilation of documents, the possibility to pay online, plus other very interesting information . You need to transport your dog (cat or other pet) to Manama? It’s not a problem with Bliss Pets. As already mentioned above, we can assist you in the journey of your pet towards this destination. Don’t hesitate to call us at 800 974 231 or send a request for a quote by clicking HERE in order to know more and organize your pet’s service without any stress or worries. Let us take care of everything!